Have you ever used everyday inspiration to help choose your lotto numbers? It’s not as bizarre an idea as it may sound. You might find the inspiration in a plate of food, in the beautiful cloud formations above, in a daydream or perhaps from a book you’re reading. Maybe the numbers will come to you as you watch your favourite TV show…? 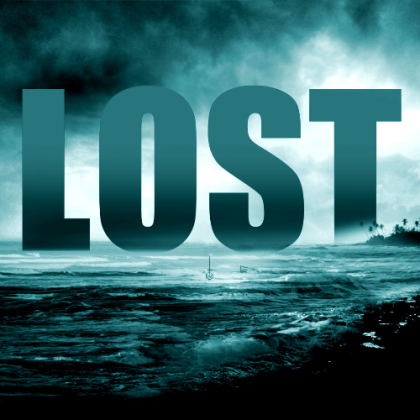 Strange but true, this is what happened to 26,000 fans of the TV series ‘Lost’ that was airing on ABC in America. The hit series starts with a plane crash on a deserted island. A group of survivors seek meansof getting off the island to returning home. One of the characters in the series was Hugo ‘Hurley’ Reyes, played by actor Jorge Garcia. In the plot, a few years before the crash, the character ‘Hurley’ was admitted into a mental hospital for depression. Hugo was playing Connect Four with another patient, Leonard Simms, who kept repeating the set of six numbers. He bet the digits that he’d heard from Simms (4, 8, 15, 16, 23 and 42) on a lottery draw, which resulted in a winning ticket for $114 million. Leonard explained to Hugo after the win that he heard the digit sequence from his work colleague, Sam Toomey, 16 years earlier on a radio transmission in Kalgoorlie, Australia. Being true fans of the show, however, these followers of ‘Lost’ must have known that. As the story unfolds, this number set turns out to be unlucky and the cause of much bad fortune for Hurley. Cursed or not, that did not stop people from betting them however. The loyal fans of ‘Lost’ followed Hurley’s example and picked the exact same lottery figures for their own draw - especially in hopes that like Hurley, they would win the jackpot of $177.5 million. JJ Abrams, the executive producer brought up the original idea to put in six figures into the plot that follow Hurley in his adventures. The set sequence appears in various scenes with the other fictional characters. There is no clear reason to what the numbers mean but there are possible explanations. Perhaps some sort of an equation? Such as that predicted by mathematician Enzo Valenzetti that relates to when the world might end…..
Another possible meaning is the list of survivors found in a cave. Each of the surviving characters listed would take over instead of Jacob, the protector of the island. The different roles in Lost include John Locke being 4th, Hurley was the 8th, Sawyer the 15th, Sayid 16th, Jack the 23rd and Kwon 42nd. The past flashbacks in the series also have a bond with the numbers. Take John Locke for instance, he was in a wheelchair for four years. Eight and fifteen refer to the Oceanic plane crashed on the island, the Flight 815. Twenty-three refers to the departure at Gate 23. The number 42 reflects a joke in the novel The Hitchhiker’s Guide to the Galaxy written by Douglas Adams (all you nerds know what I’m talking about!). The Mega Millions draw in January 2011 won thousands a small fortune. There were two winners who became millionaires overnight predicting all six. The winning tickets bought from Idaho and Washington got a share of a sensational $177.5 million. Jorge Garcia had a message to tell admirers on his blog. He warned: “When will the people learn?” Jorge quotes his character saying “The numbers are bad!” A phrase repeated throughout the show. He told his fans to enjoy their disastrous win posting a picture of the cursed money. Was it fate or coincidence that loyal fans won a small prize? Those lucky winners have Hurley to thank for the outcome. You never know what may happen… maybe all you have to do is look for the simple things in your daily routine and – Voila! You’ve got your lucky numbers!